Reigning world champion Jorge Lorenzo has cast doubt on whether he will get to race a new seamless shift gearbox on Yamaha’s factory YZR-M1 in 2013. A new gearbox was high on Lorenzo’s wish list to help him successfully defend the MotoGP title this year, but the seamless shift system already employed by Honda and Ducati is not yet available. Worryingly for Lorenzo and new teammate Valentino Rossi is the fact that there appears to be no fixed date for when the seamless shift gearbox will be at their disposal. It is not even clear if the Japanese factory plans to introduce the seamless shift gearbox, which Honda and Ducati have been using the system since 2011, during the forthcoming campaign that kicks off in Qatar on April 7. Lorenzo was keen to get a seamless shift gearbox to improve stability under acceleration when shifting up through the gears. A rear pumping issue under acceleration remains a key weakness for Yamaha’s YZR-M1, though the double MotoGP world champion still managed to set the fastest time on the second day of testing in Malaysia this week. Lorenzo was untouchable in searing heat at the Sepang track to finish with a best time of 2.00.282 that put him 0.369s clear of Repsol Honda rival Dani Pedrosa and 0.783s ahead of Rossi. When asked by MCN in Sepang today whether the current YZR-M1 will be the one he will start the championship on in Qatar, or if Yamaha planned further upgrades in forthcoming tests in Austin and Jerez, Lorenzo said: “I would like to have a stronger bike for sure. 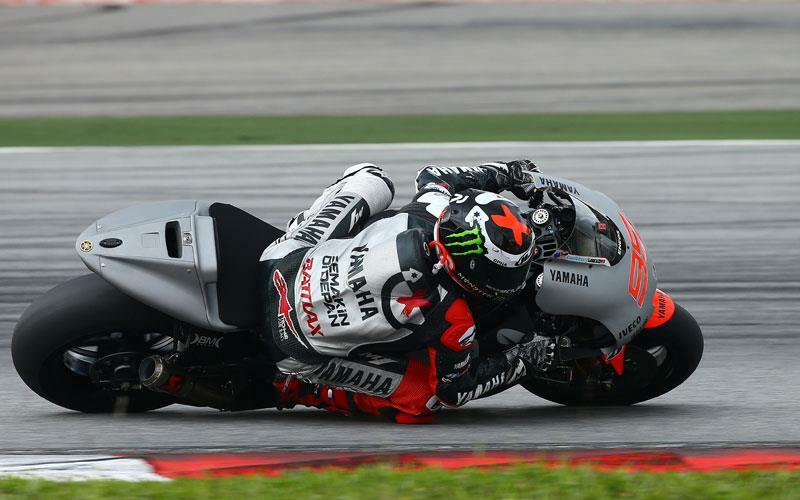 Lorenzo’s strong belief is that one way to improve the acceleration performance is to get a seamless shift gearbox. But when asked by MCN if he had been given clarity on the status of the new gearbox, he added: “The gearbox is not ready and they don't know if they will have it this year. Probably not, so maybe for 2014. They don't know." Although it is widely expected that Yamaha is currently working on a new gearbox in Japan, Lorenzo denied any knowledge that a seamless shift system even existed. "I don't know exactly, they don't tell the riders,“ laughed Lorenzo.